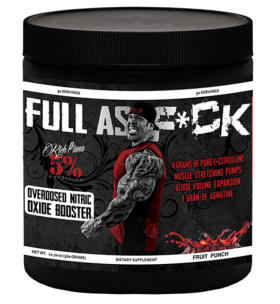 Rich Piana 5% Nutrition Full As F*CK is suitable for anyone MALE or FEMALE. 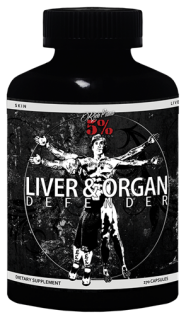 VITAL ORGAN PROTECTION & SUPPORT 30 Servings 270 Capsules Serving Size: 9 Capsules When it comes to your liver and other vital organs you need a supplement that you can really depend on. 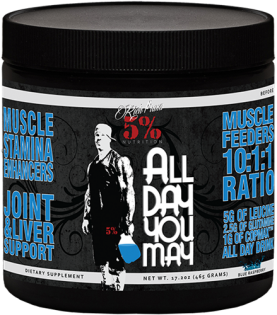 That is why we dosed this product so generously. 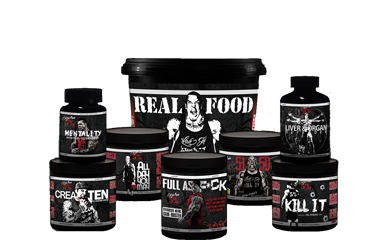 Look at these dosages and do your research! What you will find is exactly what you need!! We know how important it is for you to feel safe and supported when it comes to something this important. This product supports the major organs that bodybuilders are most concerned about; liver, heart, kidneys, prostate, and your skin. 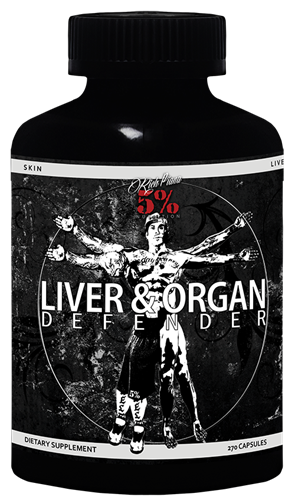 Liver and Organ Defender is truly an elite level on-cycle, post cycle, and everyday support supplement. 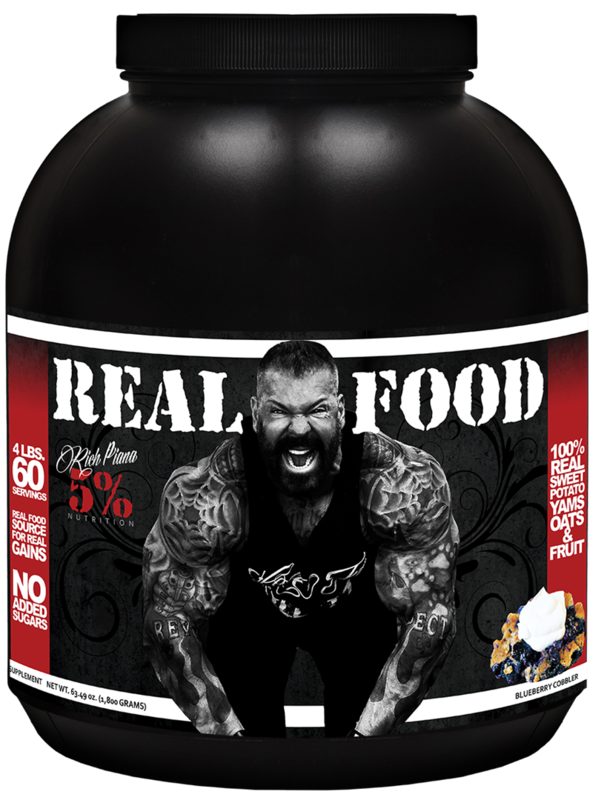 REAL FOOD SOURCE FOR REAL GAINS 60 Servings Net Wt. 63.49 oz. (1,800 grams) Serving Size: 1 Scoop If you have been following Rich Piana for any time at all, you may have noticed he is passionate about athletes consuming real whole foods as part of their dietary regimen. Not one time a day but many times a day. That is not always allowable in a lot of lives. Work and many other situations may not facilitate the ability to eat whole foods meals many times a day. 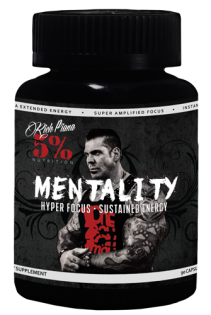 Rich knows this and doesn’t want to see you go without that meal you desperately need. 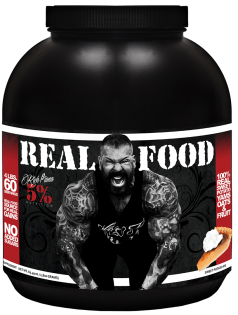 So Rich brings you a revolutionary product to help solve this dilemma- REAL FOOD! (All In One Pre-Training Drink) Preworkout 30 serves Net Wt. 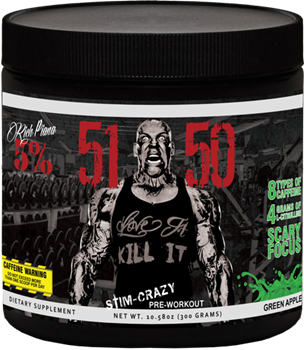 9.6 (288 grams) Serving Size: 1 Scoop KILL IT Pre-workout was designed to elevate your ability to train harder, stay strong longer, and produce a overflowing pipeline of muscle healing blood to your working muscles. 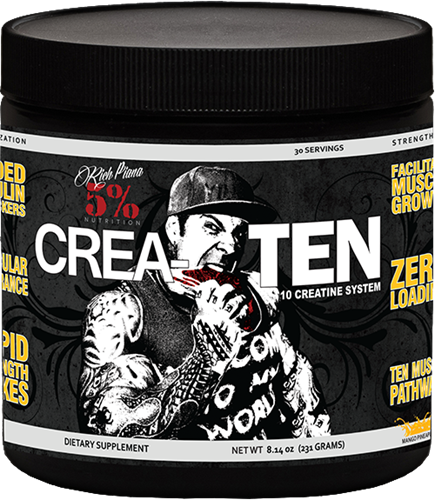 You love working out and having killer workouts; all you need is something to help you get past your natural ability. 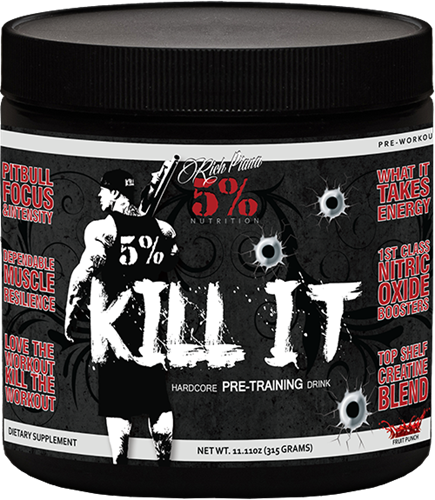 To be the best, and train like the best, you don’t just need a good workout- you need to KILL IT! 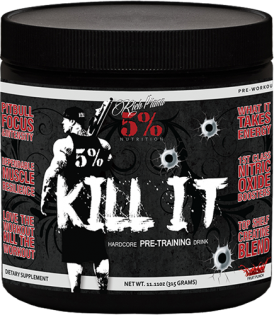 This is What it Takes to KILL IT!